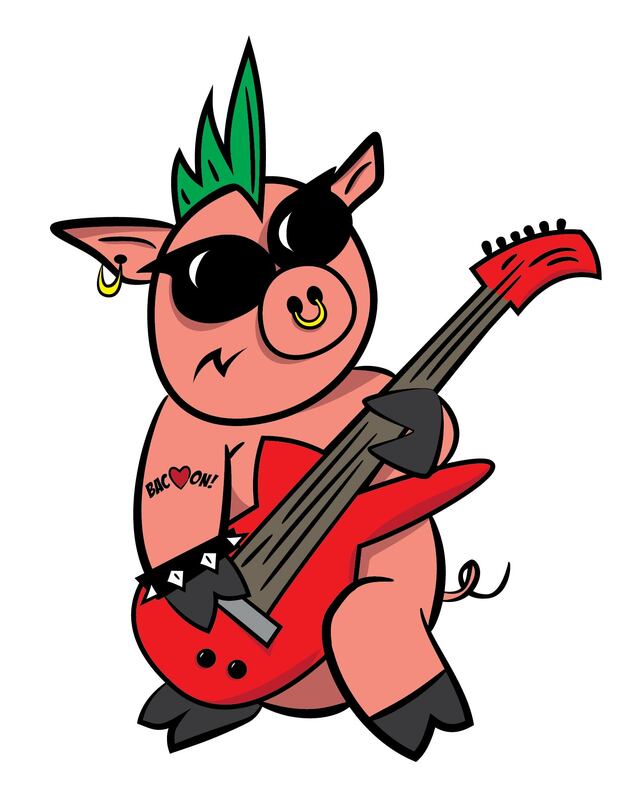 When a fundraiser to help aspiring musicians includes a menu with pulled pork and exotic bacon wrap appetizers, you know it’s going to be good! 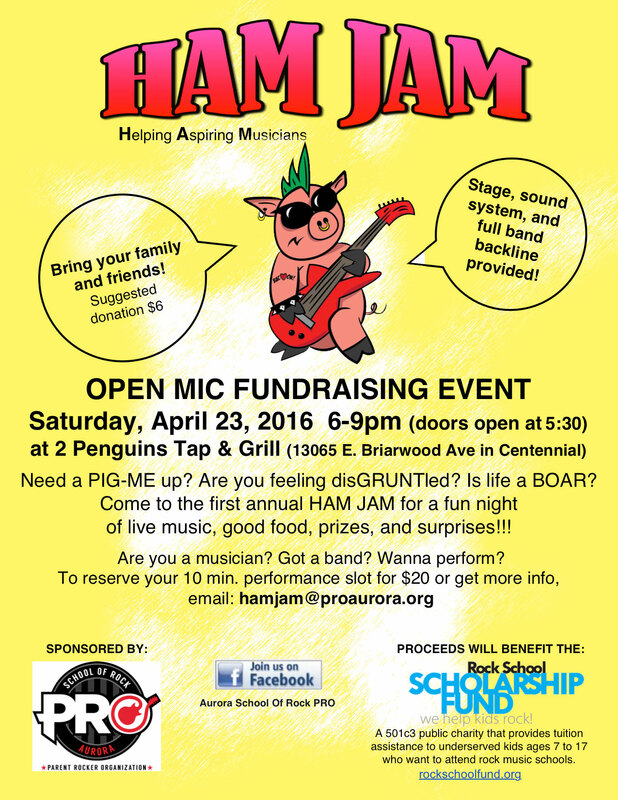 This Saturday, Musicians In Action-CO will be joining the Aurora School of Rock for an open mic fundraiser called HAM JAM to raise scholarship money for young musicians. Where: 2 Penguins Tap & Grill (10365 E Briarwood Ave, Centennial; phone 303-792-0310). When: Saturday, 4/23/16; Doors open at 5:30PM and general admission is just $6. What: This is an open mic fundraising party. Various musicians will take the stage from 6-9PM. There will also be lots of games – indoor and outdoor. Proceeds are being raised for young musician scholarships. The event is sponsored by 2 Penguins, Dry Dock Brewery, and the Aurora Parent Rocker Organization. Musicians In Action-CO will have a table there as well as Love, Hope Strength and the Arapahoe Library District. Please join us for this fun event!